Children loved getting messy in this Handprint Art Workshop which was held on Wednesday 18th December 2013. 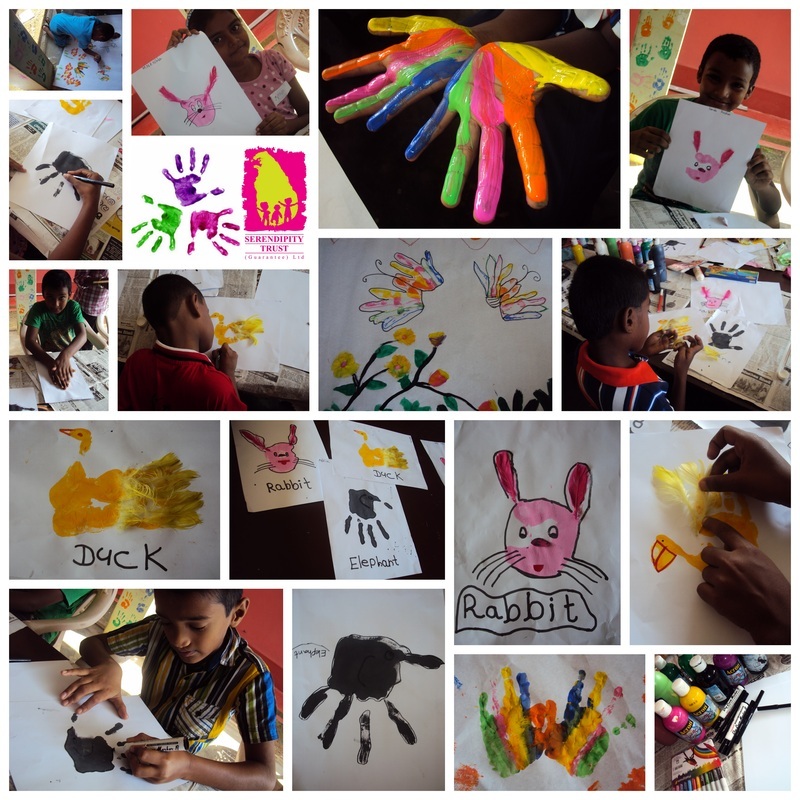 Each participant got creative painting their hands various colours and patterns before stamping their handprints on to their paper. They then decorated each animal with feathers, fabric and buttons. Check out the fantastic photos of their ducks, butterflies, rabbits and elephants!! Each School's Out ticket sold enables a child from a low income family to participate in the same workshop at no cost. Thank you for your generosity and supporting our work in Sri Lanka!